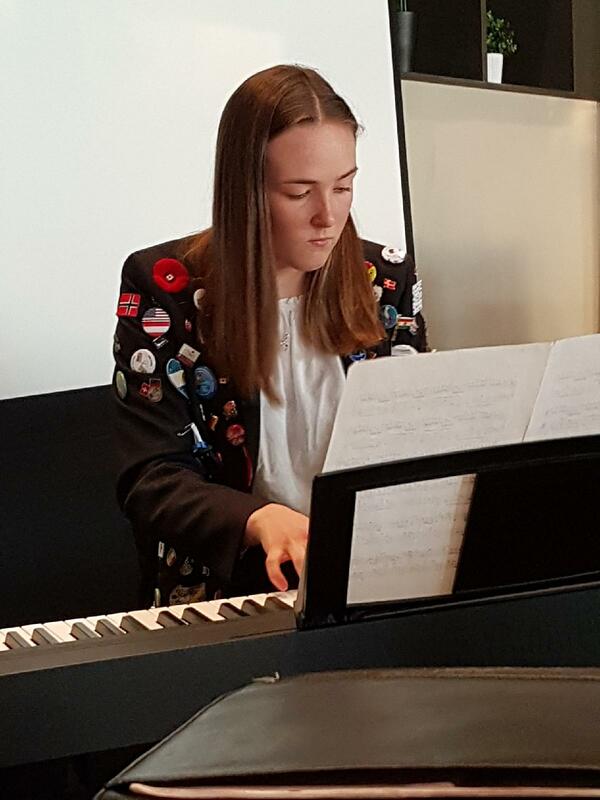 Our exchange student from Norway gave a wonderful presentation about her home as well as entertaining our members with a song on the piano. It was a wonder treat to hear such an articulate young lady giving such a informative overview about her country, speaking English as one of the many language she is fluent in. The things she is quite proud of are her family and cultural traditions as well as her country's political system given them the ability to greatly manage their oil resource and putting profits back into their society with better health care and free post secondary education. After the introduction of her country she gave a report on her own interest and talents and a highlight of her activities while she is staying with us. Mina had wonderful photo accompanying her presentation and she ended the presentation by performing a song on the piano. Our members enjoyed the evening immensely and awe by all her talents and accomplishments in such a young age.